Why following the people of Tasawwuf (Sufism) is Obligatory? WHY FOLLOWING PEOPLE OF TASAWWUF ‘OBLIGATORY’? عَنْ النَّوَّاسِ بْنِ سَمْعَانَ رَضِيَ اللهُ عَنْهُ عَنْ النَّبِيِّ صلى الله عليه و سلم قَالَ: “الْبِرُّ حُسْنُ الْخُلُقِ، وَالْإِثْمُ مَا حَاكَ فِي صَدْرِك، وَكَرِهْت أَنْ يَطَّلِعَ عَلَيْهِ النَّاسُ” رَوَاهُ مُسْلِمٌ [رَوَاهُ مُسْلِمٌ]. وَعَنْ وَابِصَةَ بْنِ مَعْبَدٍ رَضِيَ اللهُ عَنْهُ قَالَ: أَتَيْت رَسُولَ اللَّهِ صلى الله عليه و سلم فَقَالَ: “جِئْتَ تَسْأَلُ عَنْ الْبِرِّ؟ قُلْت: نَعَمْ. فقَالَ: استفت قلبك، الْبِرُّ مَا اطْمَأَنَّتْ إلَيْهِ النَّفْسُ، وَاطْمَأَنَّ إلَيْهِ الْقَلْبُ، وَالْإِثْمُ مَا حَاكَ فِي النَّفْسِ وَتَرَدَّدَ فِي الصَّدْرِ، وَإِنْ أَفْتَاك النَّاسُ وَأَفْتَوْك” . It is the hearts of the Pious Scholars (Rabbaniyyin) , the Awliya Allah (friends of Allah). This book business studies of religion came very recently. Allah says: Quran 48:4 It is He who sent down tranquillity into the hearts of the believers that they would increase in faith along with their [present] faith. And to Allah belong the soldiers of the heavens and the earth, and ever is Allah Knowing and Wise. Allah did not send you to study with quarrel people of Al alzhar and Riyadh universities, Islam is there before universities formal studies and colleges. But Allah send you to learn deen (religious way) from those who have attained tranquillity. The understanding of religion and belief can be attained from those whose hearts are purified and annihilated In the Submission of Allah Almighty Exalted. Not from books or slaves of books. Remember, your Lord remind you of the people of the books. Don’t say to me mere books make you purified and pious. Allah Almighty Exalted says, Quran 91:9-10 He has succeeded who purifies it,And he has failed who instills it [with corruption]. The Prophet Muhammad alaihiswalathu wa Salam says:”Beware! There is a piece of flesh in the body, if it becomes good (i.e., reformed), the whole body becomes good, but if it gets spoilt, the whole body gets spoilt, and that is the heart. (Sahih Bukhari). You can read all books, you can read Quran. All 73 sects reading same Quran. Quran only guide Ahl Al zikr (people of pure God Conscious). Allah says (3:7) And no one will be reminded except those of understanding. You can pray five times or whole day and night , most sects praying five times. Iblees (Satan) worshiped Allah more than any other creations. You can fast everyday until your death, but Allah’s Messenger alaihiswalathu wa Salam says: “Whoever does not give up forged speech and evil actions, Allah is not in need of his leaving his food and drink (i.e. Allah will not accept his fasting. )” Sahih Bukhari. So people from all different sects doing prayer, fasting and reading of same Quran. But the if heart is dirty and filled with thoughts other than thoughts of Allah and His Messenger alaihiswalathu wa Salam, then there is a big problem. Heart is not filled with idols, which is hidden shirk. You can pray in Masjid, but you do not pray where idols are erected, some people saying they don’t like taking photos. They are quoting Hadith hatch says angels does not enter in a house where there is images.So if your heart is filled with the images of the ego (money,women, properties, people etc) and dirty remembrance (lust,greed, anger, jealousy,lie, cheat etc)do you think Allah will send down Sakeenath, in your hearts?. Sakeenath is only for Mu’mineen (true believers). 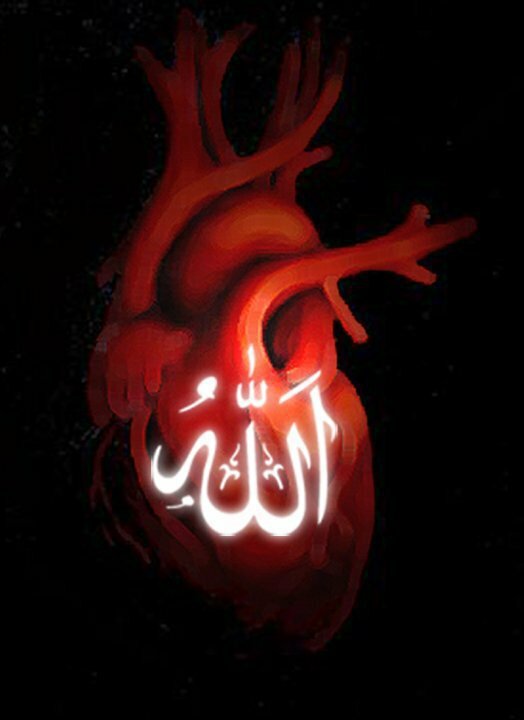 Allah Looks at the hearts (Sahih Hadith). So instead of fooling yourself with dawah and other self worship, to call others to the (false Islam) of your ego, prepare yourself to purify, then call people to truth and righteousness. One must seek the way of Tasawwuf (path of awliya Allah) this is the reason it is obligatory to study Tasawwuf (Sufism). Our way(Naqshbandi Tariqah) is built on Adab (أدب ,Islamic Morals), Adab leads to Ikhlas (Sincerity) and sincerity leads to success. Our way require Adab (Islamic Morals ) and Ikhlas (Sincerity). Without ‘Adab’ a person can reach in the religion and Tawheed of Iblees (Satan). It is to listen and obey the spiritual leadership (see Quran 2:285) and 4:59 O ye who believe! obey Allah and obey the Apostle and those charged with authority among you. If ye differ in anything among yourselves refer it to Allah and His Apostle if ye do believe in Allah and the Last Day: that is best and most suitable for final determination. But you can be arrogant and stubborn, and follow your own ego, instead of following Imams of the Muslims and put your affairs and disagreements aside. That time Satan is laughing at you as he succeeded in fooling you, making your prayers, fasting and knowledge of religion etc a self worship and hidden polytheism! Allah says, Quran 25:43 Have you seen the one whose god is his own ego? Will you be his advocate? Yes, you can fool yourself by saying brother brother there is an ayah and daleel, yes, you may follow ayah and daleel like every 72 sects, who cares? To you is your way, to me is my way. Consciousness of breathing (Hosh Dar dam) means to safeguard the breath from entering into heedless station and inclinations. According to Imam of Khatamul Khwajagan, Hazret Abdul Khaliq Ghujdevani, the seekers who are serious in the path must observe his breath from all forms of notions of the bodily desires and direct his breathing toward’s God Consciousness. Every breath that is inhaled and exiled must circulate through the cells of body must be occupied with the Divine Presence in it. The breathing that is is inhaled and exhaled without God’s Presence in it leads to heedlessness and death of the heart. This is the summary of Hazret Abdul Khaliq Ghujdevani (q.s)’s teaching on the awareness of breath. Comments : God Almighty has placed a divine breath in every human being when he is formed in the womb of the mother and the soul is placed in the fetus by the Angel, that make the connection between the breath of the mother, the breath of the infant in the womb and connect with the heart of the mother with the heart of the child and make the spirit enter in it. A seeker by constantly safeguarding his breath from heedlessness unveils that earliest divine breath in his spirit to be discovered and reaching to recognize his own soul and his rank in the divine presence and his relationship with his Lord. By recollecting this Divine Breath in him , the seeker is able to find the Divine Sustenance (Rizq) that is bestowed by his Lord during his creation in his womb. The Prophet Isa Son of Maryam (peace be upon them) were bestowed by Allah the Power to regenerate that breathe into make creation by Allah’s Will. Mary (Peace be upon her) mother of Isa (alaihissalam), was also a protected woman,a woman whom Allah chosen over all other women. She remains highest in sainthood among woman. Her breathe was also protected by Allah Almighty even before her birth. Quran 21:91 And (remember) her who guarded her chastity: We breathed into her of Our spirit, and We made her and her son a sign for all peoples. Allah says: [3:42] And [mention] when the angels said, “O Mary, indeed Allah has chosen you and purified you and chosen you above the women of the worlds. For the reason of Safeguarding the breathe, Allah’s Messenger forbid Yawning, because it is through heedless breathing that the seeker may enter in egoistic stations. This is enough evidence for the importance of conscious breathing and an evidence against those who oppose the exalted Naqshbandi Principle. On the authority of Abu Muhammad Abdullah bin ’Amr bin al-’Aas (may Allah be pleased with him) who said:The Messenger of Allah (peace and blessings of Allah be upon him) said, “None of you [truly] believes until his desires are subservient to that which I have brought.” [Imam an-Nawawi says:] We have related it in Kitab al-Hujjah with a saheeh chain of narrators. Holding fast to Naqshbandi Way helps a seeker to follow the Quran and Sunnah with it’s most correct and purest form and the Naqshbandi Way explains and make it easy to understand the followers the correct way of Islam. The Shaykhs helping the seeker and training the followers in all the aspects of life which must be according to Quran and Sunnah. The Shaykh (Saint of Allah) can know the state of a seeker by observing the breath of his follower. Whether the murid is near of far. This are some of the examples of the Divine Breathing into the Chosen Souls. It is said that that one breathe of the Saint is enough to guide whole mankind, because it is the living breath, the breath that give life to the dead. Shah Baha’uddin Naqshbandi (Q.S) said: “The foundation of this way is upon conscious breathing, so it is a must for the followers of this to safeguard his breathe in inhalation and exhalation, as well as to safeguard it in it’s intervals. The breathing reach in every cells, to the heart to the brain and brings an impact in the internal and external organs. It is said that: Satan moves in the body of human where his blood circulates. It is also said that: The heart, if it is pure, the person is pure, if it is corrupt the person is corrupt. Quran:91:9–10 He has succeeded who purifies it, And he has failed who instills it [with corruption]. Therefore we can see that there is a direct relationship between Purification and Breathing. Different types of emotions also affect one’s breathing, when a person sees the majesty of Allah in a Creation, like a Tsunami or a landslide, or a motor accident, he take a deep breathe and remember God and inhale the name of God with such an emotion. A man who stare at a beautiful woman takes an evil breathe and may cause him to send the waves of lust and forbidden desires and cause him to get in the trap of evil. A person who sees a wild animal coming behind to chase him, takes another form of breath and produce the adrenaline and hormones related to that breathing and making him to safeguard his steps and make him defend or run away for safety. 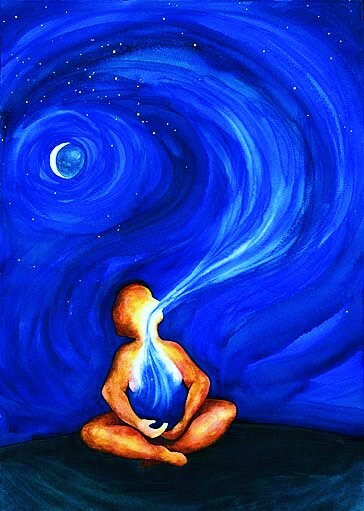 The significance of breathing can be seen in all aspects. Since the 11 Naqshbandi principles are inter-related,Awareness of consistent Breathing and Watching the Steps are very near to each other. So the Murid must avoid the company of those who take false breathing, if he were with others, then he must observe Khalwat Dar Anjuman (Solitude from the Society) in order to preserve his breathe. One who sincerely follow the Shaykh, the Shaykh help the seeker to open his breathing , so he constantly remembers God in the Heart , in mind and in spirit. It is the opening of that divine breathe which bring the Fayda (Spiritual flow) and gives inspiration to the Seeker when he/she progress into the higher levels. So if someone want to know what is coming from his ego and what is coming from Shaykh, then let him observe his breathing. It is evident that the people who are perfected their Zikr are the People of paradise. Someone asked Prophet alaihiswalathu wa salam, whether the inhabitants of the people are known or not. The Prophet (alaihiswalathu wa salam) said: They are known. Sahih Bukhari: Book 77 Hadith 595 Narrated Imran bin Husain: A man said, “O Allah’s Apostle! Can the people of Paradise be known (differentiated) from the people of the Fire; The Prophet replied, “Yes.” The man said, “Why do people (try to) do (good) deeds?” The Prophet said, “Everyone will do the deeds for which he has been created to do or he will do those deeds which will be made easy for him to do.” (i.e. everybody will find easy to do such deeds as will lead him to his destined place for which he has been created). So from the above hadiths (the three hadiths altogether) should make you understand the who are the people of salvation, you must follow them. Follow the Ahlu Zikr (people of Zikr) for they are those who do Zikr just as they breathe. It is the time, a person find hard to safeguard his breath and Satan try to trick him in that time of great trial! This are one the examples of the breathing that passes from Prophets and Awliya Allah. When Jibreel (A.S) meeting Prophet alaihiswalathu wa salam in Mountain, holding Prophet tightly as if squeezing him into angel Gabriel (A.S), the Prophet (alaihiswalaathu wa salam) body become sick in the next days. This are the various explanation of the Naqshbandi principle of awareness breathe with day today examples that relate the reader to understand and observe what is it the importance of breathing and safeguarding it in order to progress in this way. So do not ask me, if it is ok to smoke Cigarette , our Way teach even polluting the nature also a blame worthy deed! This articles (Naqshbandi Principles) are written on an inspiration by the support of my Shaykhs, this is not a complete article,rather it is only a brief note, but it guides a person to the real principles that are experienced differently by person to person. To be a murid, you need to have Adab, you need to have manners. Everything starts opening to a man who has manners. The more opens to him the more obedient he becomes to his Sheykh then. He can see the Paradises, he can enter and come back, but he will never leave his Sheykh then because what he is looking for is not even in Paradise. It is in his Sheykh’s hand and nobody else carries that. Today Sufism, tariqat becomes people’s running to have some entertainment. Some are running to have some comfort. Some are already fed up with the outside world and they are getting old. They are tired of sitting home and so they are running to tariqat. This is the mentality of today’s tariqat. But did tariqats change and did Sheykhs lose that power? No. They still have it. They are circling around this world and they are checking people. You may be sitting next to him for twenty years and you may get nothing. He is circling in the world, he is looking and he says, “This one has good behavior.” He gives it to that one and walks away. He never finishes. The more he gives the more comes. But can you give diamond to the hand of an ignorant person? Can you take a diamond and throw it in front of a pig? What is he going to do with it? So first you have to know what the treasure is. You have to know what you are looking for. And to get that you have to know what you have to sacrifice. You have to sacrifice something. Everyone has to sacrifice something. If you are not sacrificing it means that you are not really ready and prepared to get what is there. You just want it for your own ego. So submission comes with everything you have. You no longer have your own ideas of thinking and understanding. If you cannot think the way that the Sheykh is directing you then it is forbidden for you to think and to try to analyze things by your own self because you are going to come to the wrong understanding. Sheytan is going to be there. So your Sheykh is not there. Sheytan is going to be your Sheykh. And you are still going to say, “He is my Sheykh.” But no. Sheytan is your Sheykh. Sheytan is giving you directions then. Good morals and manners alone does not make anyone Sufi or inheritor of the spiritual lineage of the Sufi Path. 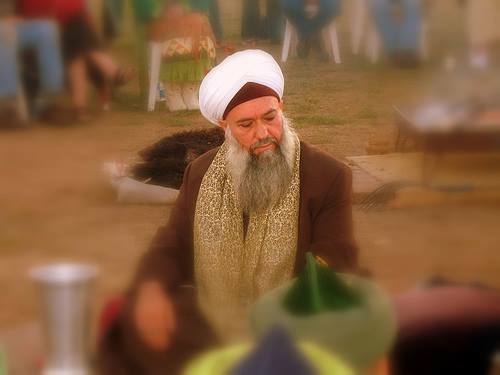 One must have a true Sufi Shaykh and should be sincere to his/her Shaykh. 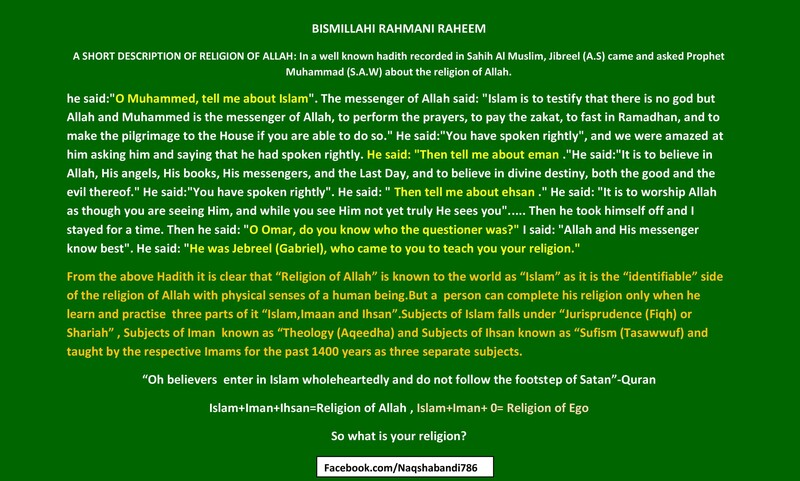 Islam,Imam and Ihsan=Religion of Allah,Anything less or more=Religion of Ego! 1:7: The path of those upon whom You have bestowed favor, not of those who have evoked [Your] anger or of those who are astray. Ahmad b. Hanbal, al-Musnad, p. 96. “Religion is sincerity”. We said: “To whom?” He said: “To Allah and His Book, and His messenger, and to the leaders of the Muslims and their common folk”. “You will imitate the nations before you very closely to the extent that if they went into a lizard’s hole, you would enter it as well” his companions, may Allaah be pleased with them, inquired: “(Do you mean) the Jews and Christians, O Messenger of Allaah?” Hesallallaahu ‘alayhi wa sallam replied: “Who else?” (Bukhaari & Muslim). The Prophet (S.A.W) said: “The Day of Judgment will not come until my Nation closely imitates the nations before them.” It was asked: “Like the Persians and Romans, Messenger of Allaah?” He sallallaahu ‘alayhi wa sallam replied:”Who are the nations (I could mean) except those?” (Bukhaari). So that you may be guided and not to be drowned! you gave me vast information.thanks for your kind help. how many days i have to recite 1000 x Salawat to Prophet (PBUH). where r u right now, in India or UK? I ask you to recite Salawat Nabi, for you to have an assurance about the Shaykhs, before coming to this way..
Whoever I met in my life, have come to this way, including so many murids and some khadims of other Shaykhs…. So, to follow Tarikat means to follow Quran and Sunnah according to the understanding of Muttaqin..(Zalikal Kitabu La raiba feeh, Hudan lil muttaqin), this is very important…. Periyar Wildlife Sanctury, Kerala,South India.